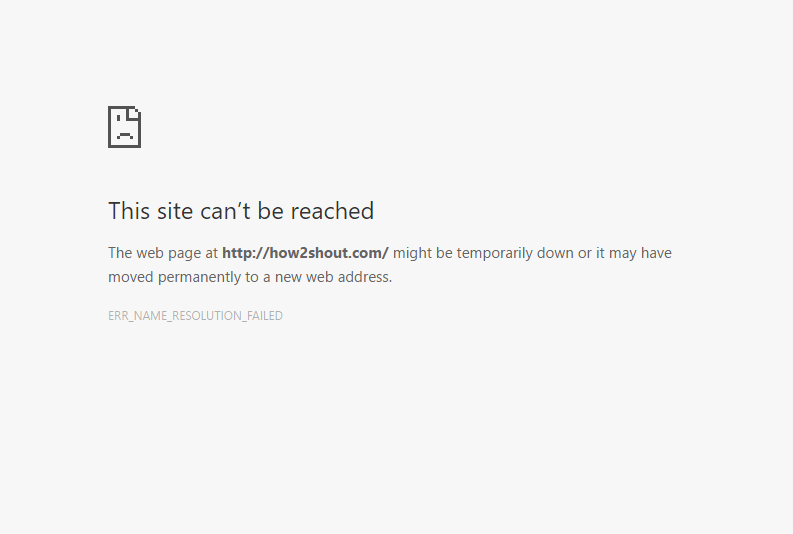 example.com’s server DNS address could not be found. server DNS address could not be found, Took too long to respond or With the error code ERR_CONNECTION_TIMED_OUT. If you are getting above type of error in your browser while opening your own or some other website in Reliance Jio. Then today in this tutorial we are going to show you how to solve this site can’t be reached problem on Reliance JIO network. 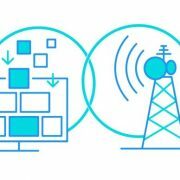 If you start getting errors which we have mentioned above with your new Jio 4G Sim network or WiFi, then the problem is with your JIO network configuration. Many time while getting this type of errors people get frustrated and flash their PC, DNS or uninstalled the Antivirus thinking that it due to the network firewall. 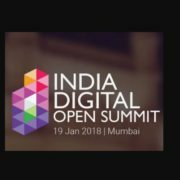 Friends there are simple methods to unblocked all websites on Jio Network and solve unable to visit the website on Reliance JIO network problem. If you are not very much familiar with technology and not want to mess your hands then simply call Reliance Jio’s customer care 199. But as we know still Jio is one testing phase and their call center respond is not good. Rather than calling, it’s good to mail directly to JIO technical team or post a tweet on Twitter. If you ask us then we will suggest you please go for other two methods given below. Note: The above method is not applicable anymore. 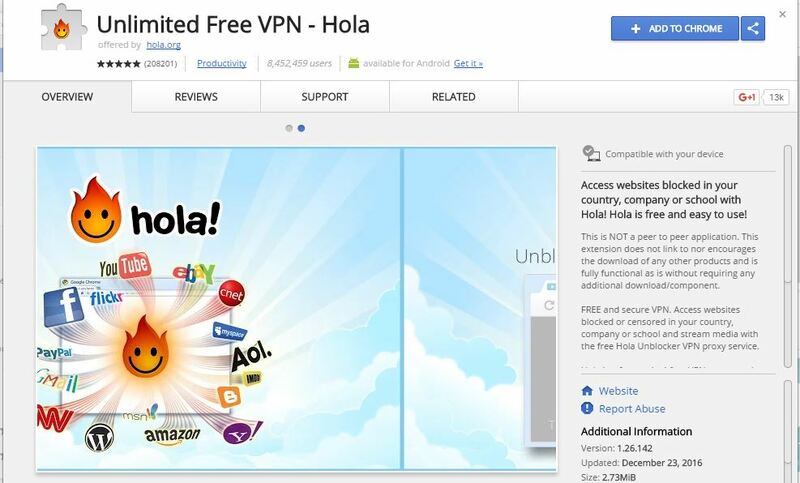 If you are using Google Chrome then use some VPN extensions such as Hola Extension. Hola VPN extension is a free VPN service that unblocks all the JIO’s network blocked websites. 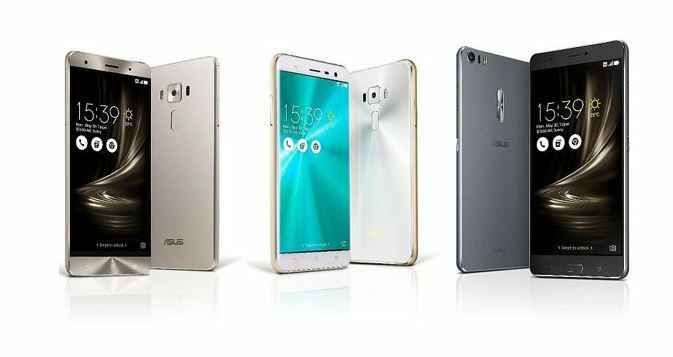 For your Android phone, you can use free Cloud VPN Proxy app. If you are going to use VPN services it’s better to install an app on your Android phone because after that you don’t need to install the different extension in different browsers. You can also add the Ultrasuf security, Privacy & Unblock VPN extension in your browser. This is the easiest way to unblock the websites on Reliance JIO LTE network. We are also using this method. In this trick, you don’t need any external software or extension. 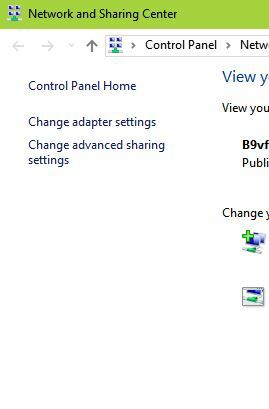 Just modify your Laptop or PC Adapter Network configuration. What we are going to do to solve the “server DNS address could not be found” problem is just to replace the current DNS with Google DNS. Step 2: A window will open click on the Change adapter setting option. all your networks adapters. Step 3: You will all your networks adapters. If you are using the WiFi connection then select WiFi adapter and right click on it & select the properties. 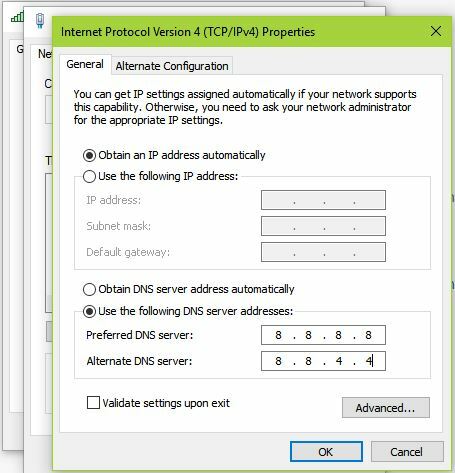 Step 4: After clicking on properties, select the click on Internet Protocol Verison 4 and then double click on it. 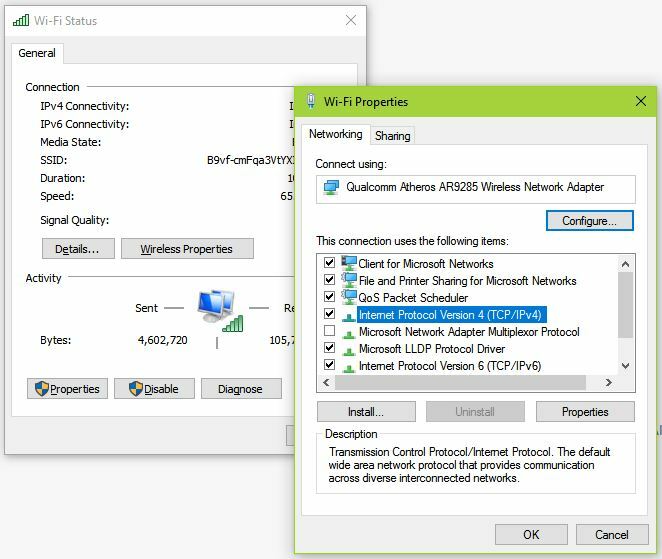 Step 5: When you double click on Internet Protocol Version 4 an IP configuration windows will open. Now select the option “Use the following DNS server addresses” as shown in the screenshot. In the preferred DNS column enter 8.8.8.8 and in an alternate DNS column 8.8.4.4 and save it. These two are default Google DNS and in case they don’t work please use 208.67.222.222 and 208.67.220.220 in the Preferred DNS server and Alternate DNS server fields. These are some straightforward methods to solve the Reliance JIO Sim network problem. Above given methods prove handy when you are using the Reliance JIO internet connection via a hotspot or threatening connection. In my case none of these solutions worked. I went for even simpler solution – just rebooted by device (smartphone, from which I was connecting to internet using Mobile Hotspot) and voila, it started working! your solution is not working… please upgrade it…..
It’s not working. Your “Best and Working” method is no more working. Is there anything else that you guys can do to resolve the issue? Please let us inform. Not working. I can’t access my online banking website. It’s really irritating. i follow your all method to solve my problem but the problem remain same.i could not open the IBPS official site.so many days i have tried to solve this problem . please tell me the solution of my problem . 3rd method is working. faced similar issue while using mobile hotspot vodafone. now resolved using 3rd method. Solution given at #3 worked very well on my Jio 4G network . Good work ! Thank you, after downloading UltraSurf Security, I’m able to open torrent website ‘yts.am’.